I love that my job constantly introduces me to fabulous people. I love being a maternity photographer. Something about working with “parents to be”, feels so exciting. I have to say, I think I have the very BEST clients! Last week was no different. I instantly loved Sabrina and Phil. They were just so sweet and easy going. Phil had to head off to work so he was a total sport with a few outfit changes before heading out. I love when my clients are so relaxed and at ease with each other, it makes my job so much easier. They were both up for whatever I suggested. Considering that they are expecting their first baby, they were completely laid back while I was there. They had great outdoor space. It felt like we were in the mountains. When we were taking some photos out on the deck, a deer walked by. So cool! 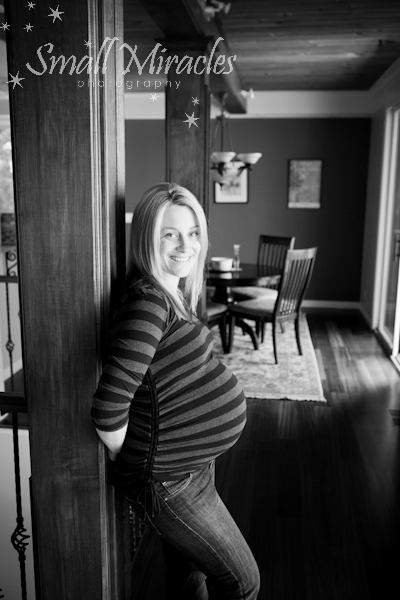 Another day in the life of a maternity photographer!